Current and former employees of an Ohio nursing facility are accused of mistreating two patients, one of whom died as a result of their actions, according to Attorney General Dave Yost. 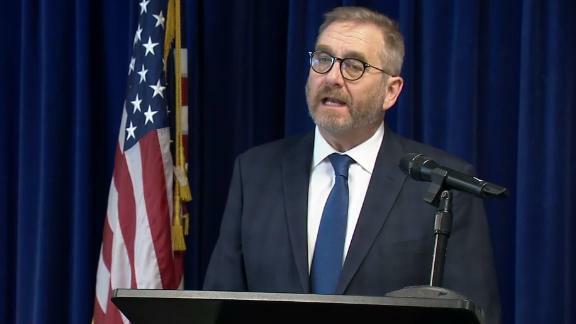 Current and former employees of an Ohio nursing facility are accused of mistreating two patients in their care, including one who died as a result of the nurses' actions, Attorney General Dave Yost said Thursday. The defendants face 34 charges, including involuntary manslaughter and patient neglect, Yost's office said. One patient "literally rotted to death" as a direct result of the nurses' neglect, Yost said, adding that another suffered physical harm because nurses falsified her medical records and forged signatures. "This is gut-wrenching for anyone who has entrusted a care facility with the well-being and safety of a loved one," Yost said. Four employees were immediately fired for falsifying the second patient's records, spokesman Ryan Stubenrauch told CNN. But Whetstone "strongly" disagrees with accusations that its employees were responsible for the other patient's death, Stubenrauch said. "It's truly a tragedy any time one of our residents dies," he said. "We're confident that this man's tragic death was not the result of neglect at our facility." "There are a lot of circumstances around that gentleman and his untimely passing," Stubenrauch said. "We are confident that once those things come out it will be clear that the care he was provided at Whetstone did not contribute to his death." The patient's medical records contained false information and forged signatures of nursing staff. An investigation found that the patient's medical file listed care at times when the patient was not physically present at the facility. "As soon as it happened we did an immediate review and fired the people who broke our rules and our trust," Stubenrauch said. "These victims were completely dependent on others for day-to-day care, which their families trusted Whetstone Gardens to provide. Instead of providing that care, evidence shows these nurses forced the victims to endure awful mistreatment and then lied about it," Yost said.